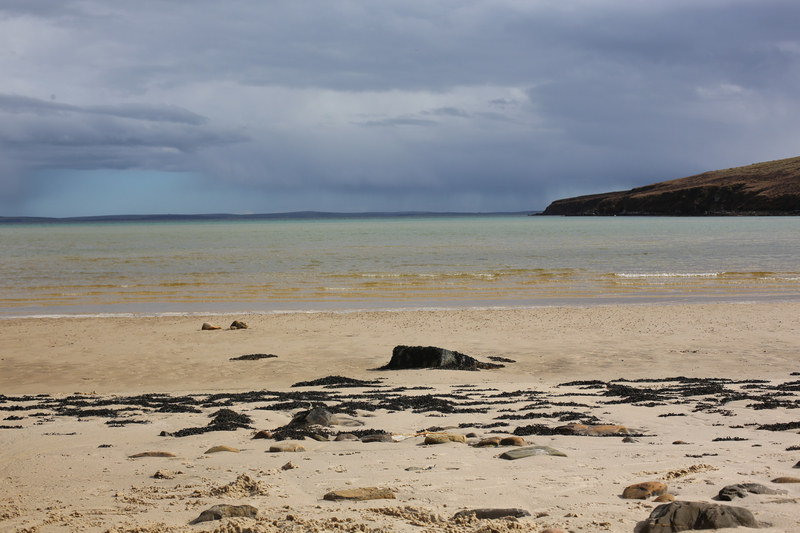 Explore South Ronaldsay and the Orkney Islands! 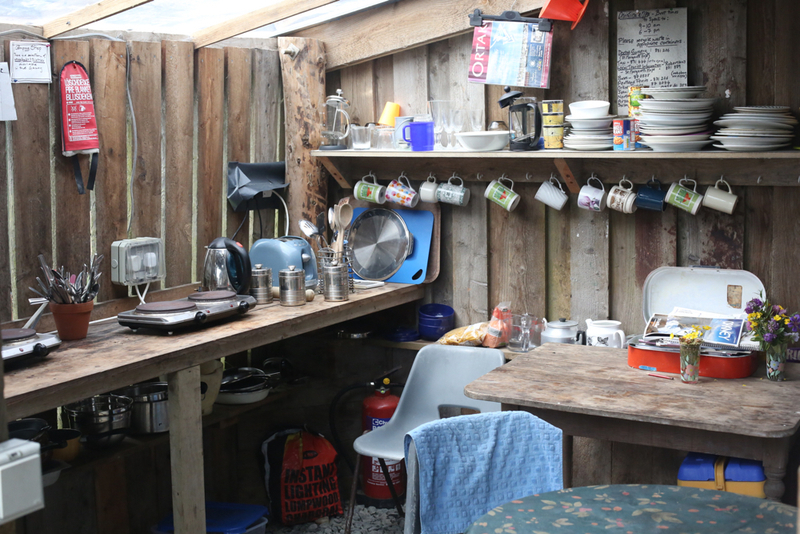 Stay at Wheem’s Organic Farm on South Ronaldsay! Wheems Organic Farm, Orkney Islands, Scotland. is an ecological and organic 6 hectare horticulture and animal smallholding, producing organic vegetables for a local market. Wheems farm buildings are 200 years old and have been renovated using local, traditional and sustainable materials. Wheems farmland has been sensitively landscaped with areas set aside for conservation, areas carved out with stone dyke walling, and areas of tree planting. Wheems faces south and east on a hillside above sea-cliffs and beaches on South Ronaldsay, the most southerly Orkney isle. Crops are grown undercover in a greenhouse, a large polytunnel and outside. There are free range chickens, geese and a flock of sheep.Wheems Farm is certified Organic by The Soil Association and you can buy farm produce and organic foods from porridge oats and pasta to elderflower cordial and pesto on the farm. Hire a motorhome on South Ronaldsay! On Orkney there is nature, peace, space and sky. 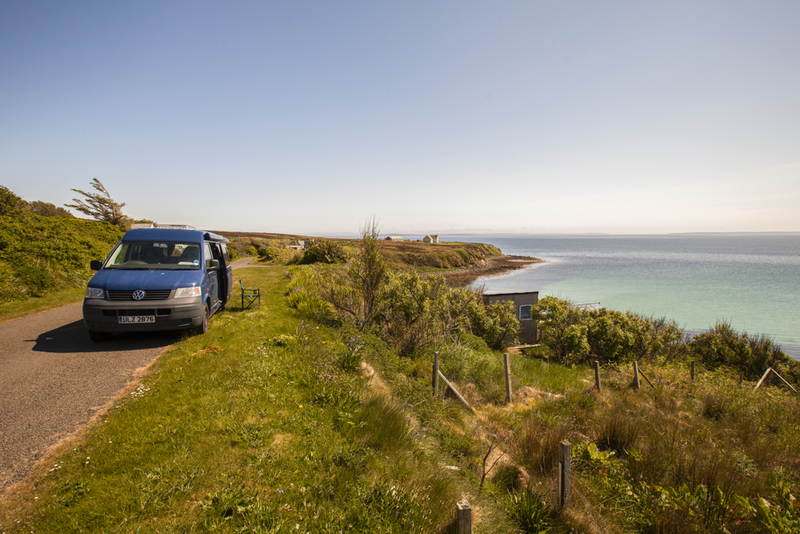 This far flung holiday site is a smart choice for visitors of an adventurous nature and the Islay, a Goboony member from Wheems farm has a lovely VW T5 camper van listed for hire! The T5 is a great choice of accommodation if you like the freedom of a house on wheels. Using Wheems farm as a base, you can hook up to the electrical supply, and enjoy the comforts of a campsite with a kitchen and showers. You can do all this and still have an incredible vista of the stunning scenery. One could also use the VW to go an explore the rest of Orkney. There are some wonderful places to wild camp on the islands! Serenely beautiful sandy beaches make the coast a great place to wander and enjoy a nice meal out under the stars. You can cook inside or outside as the T5 has moveable kitchen units and an awning. 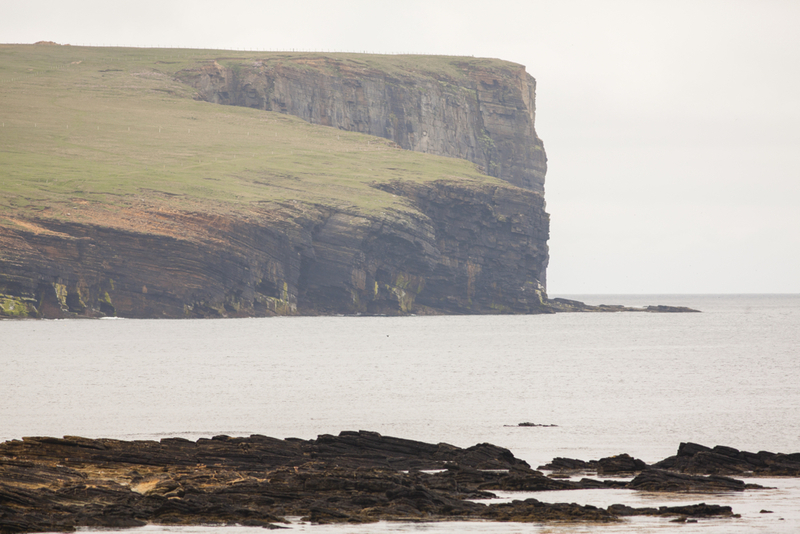 Orkney's Southern Isles have plenty of attractions such as Windwick Bay sea stack. These dramatic cliffs are sure to take your breath away, and provide outstanding views from all sides of the island. You will see seals pupping at St John’s Head in October (20 minutes walk from Wheems) and seabirds, including Arctic Terns, Cormorants and Fulmars. Other natural earth and rock formations include The Gloup ( a word from the Old Norse 'gluppa' meaning chasm), a collapsed sea cave separated from the sea by a wide land bridge and Scapa Flow natural harbour. Archaeological attractions include the Tomb of the Eagles and the Cairns Project, iron age settlement currently under excavation (donations welcome). Other notable places on South Ronaldsay are The Italian Chapel, The Orkney Fossil Centre (with a lovely tea room looking over Echna Loch). If you like art then do visit Leila Thomson Tapestries and Wheems gallery and The Workshop' in St Margarets Hope. 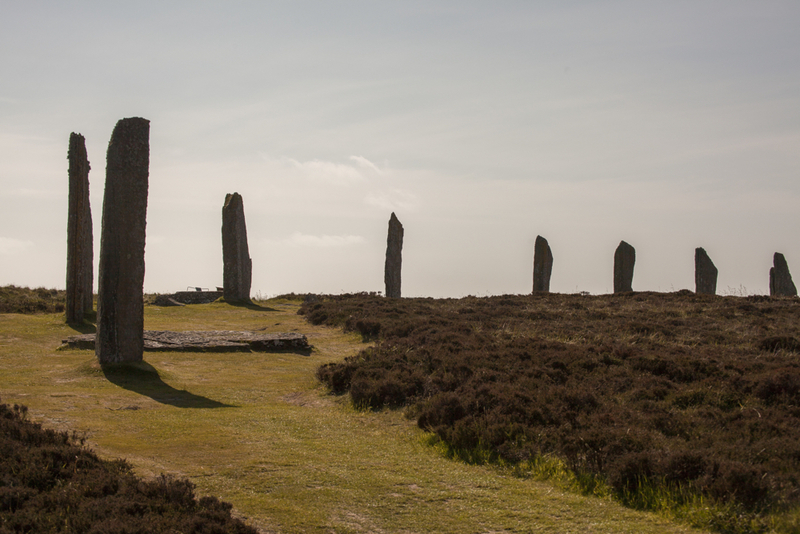 On the West of mainland Orkney you will find the famous archaeological sites such as Scara Brae, the oldest and most well preserved neolithic settlement in Western Europe sometimes known as the 'Scottish Pompeii', inhabited for 600 years continually from about 5000 years ago. There is more than one way to get to the islands, below are some suggested ferries to take. Pentland Ferries runs a service from Gills Bay to St Margaret’s Hope The ferry itself is a nice catamaran, and the skipper will stop the engine at the sighting of a whale! John O'Groats Ferries - This ferry links John O'Groats to Burwick, this ferry is for for foot passengers only but bringing your bike is free! We have been informed of some local recommendations for places to get some good food. The Skerries Bistro, which offers a wide range of dishes from a variety of seafood to vegetarian dishes. For a cozy dining experience, Robertson’s cafe in St Margaret’s hope comes highly recommended. The cafe has an evening tasting menu (why compromise by choosing one dish) and a wonderful selection of food and drink to choose from. Wheems farm itself also has it's own produce for sale, and has cooking facilities for those who want to cook for themselves! We would like to say a special thank you to Islay, who provided the local knowledge for this wee blog about the camper. As the northernmost member of our UK community she gives our holidaymakers the opportunity to visit an often forgotten but stunningly beautiful place with a rich culture and history. To hire Islay’s campervan, follow the link here.